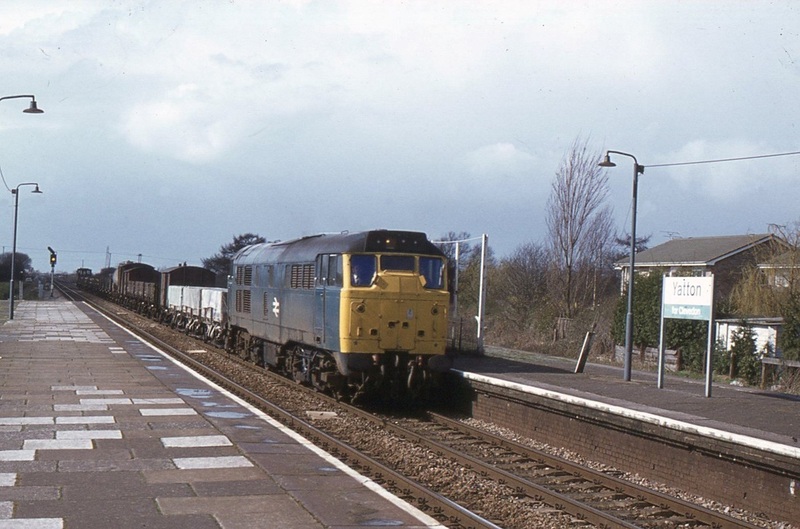 No connection with Clevedon at all really but a chance to mention Ruslip Lido Railway at which Peter O'Brien is very active - the longest 12" gauge line in the world - take a look at the web site. This picture by my late father John Stanford. 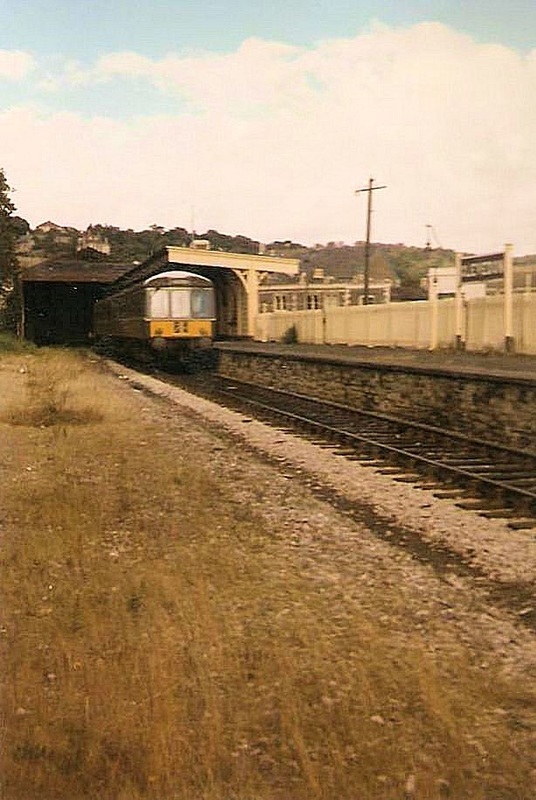 It shows a single power car DMU coming through the outskirts of Yatton, approaching the station - behind the photographer. The siding behind the DMU served Caperns Birdseed Factory. 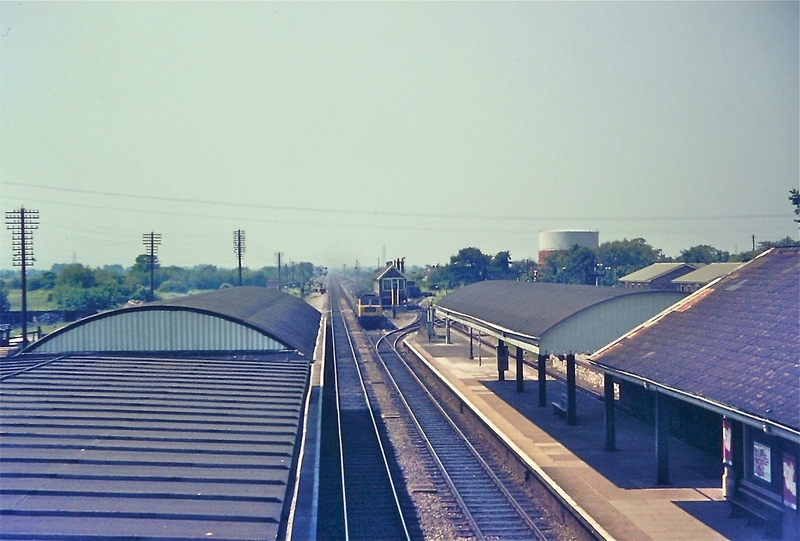 Photo taken July 1964' just over 2 years before the line closed fully. 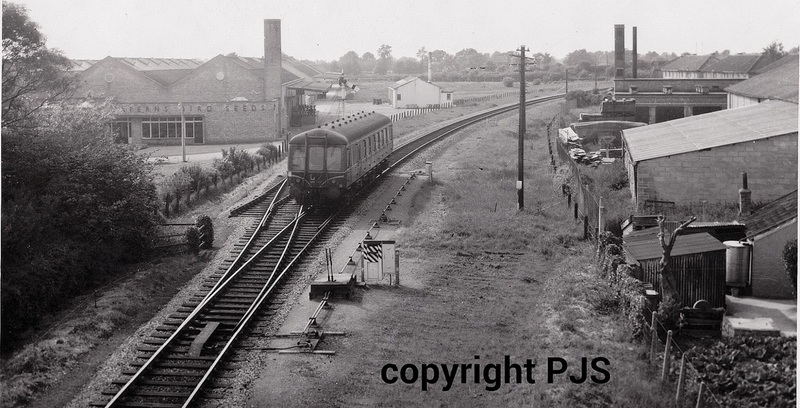 Post line closure in October 1966, a part of the line (about 2-1/2 miles from Yatton) remained in use to train in-track machine drivers - but was fully lifted by 1970/71. Copyright Paul Stanford. 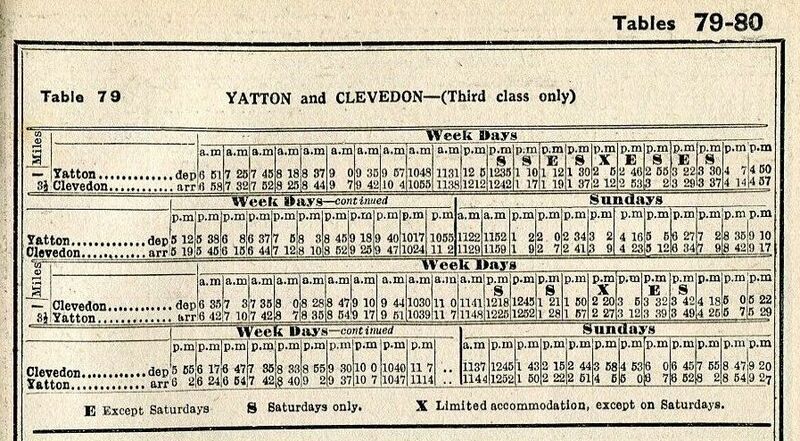 Also try - For excellent coverage of both Clevedon stations and the Weston, Clevedon and Portishead Railway with stations and maps. 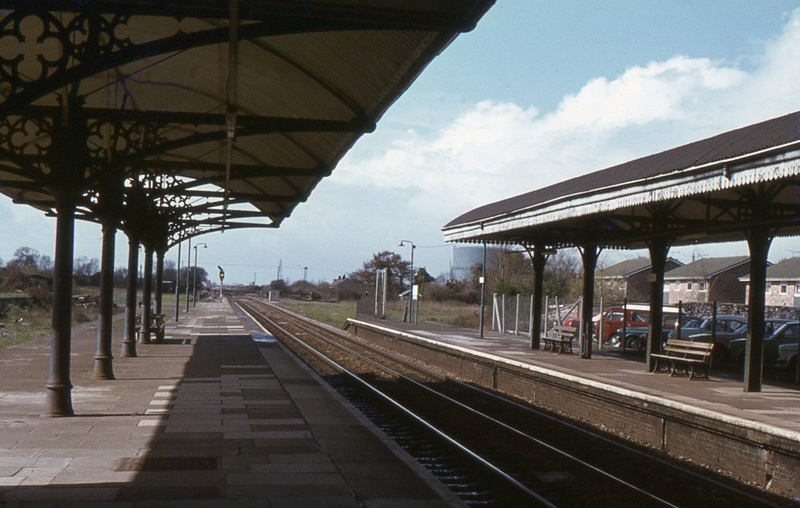 Another shot looking from the down platform across to the Clevedon Bay platform. The bay had, by this time been filled in and the space used for car parking facilities. 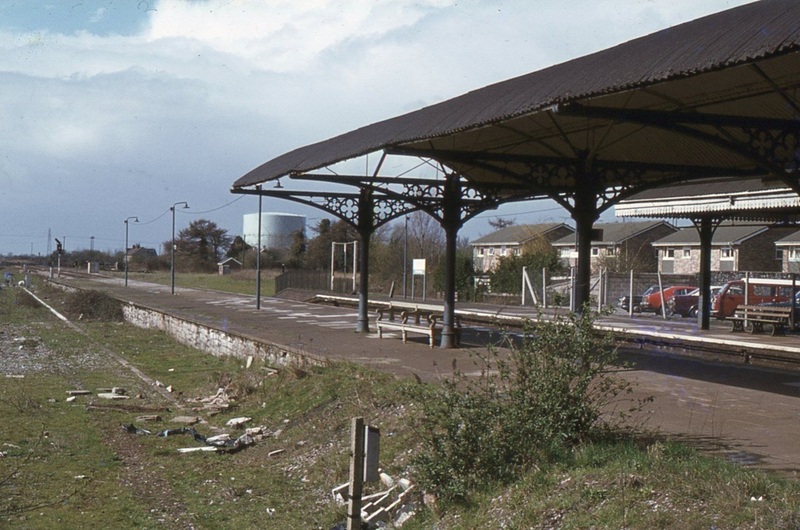 Yatton West signlbox, (Closed in 1972) lay in between the up main and the branch metals which bore away to the right. 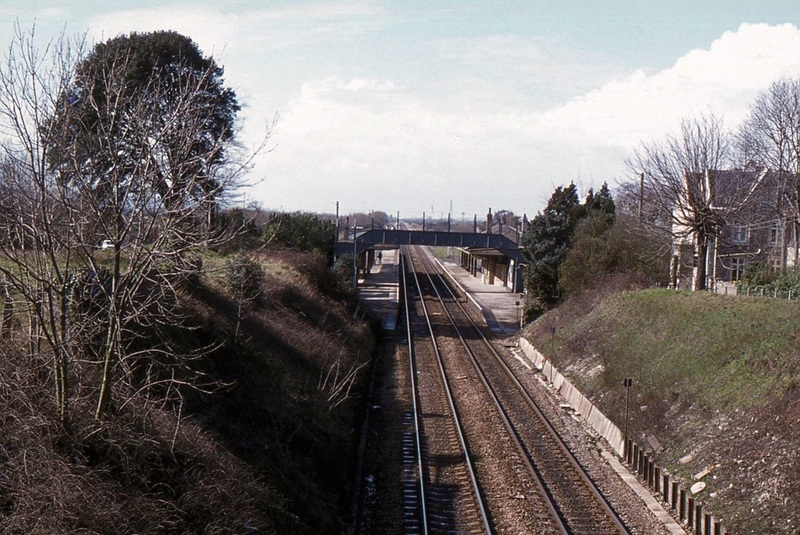 Off the branch, even harder round to the right lay the locomotive shed - closed in August 1960. 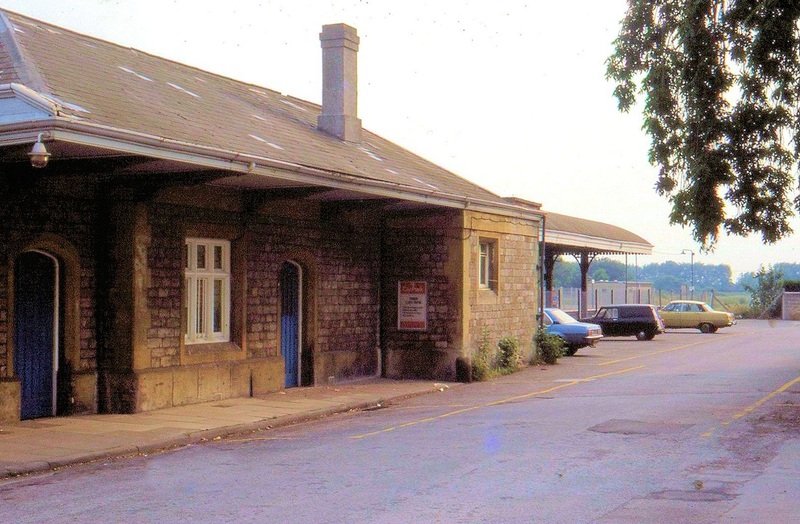 28th June 1986 Copyright Roger Winnen The awnings, maybe both came from Dauntsey station. 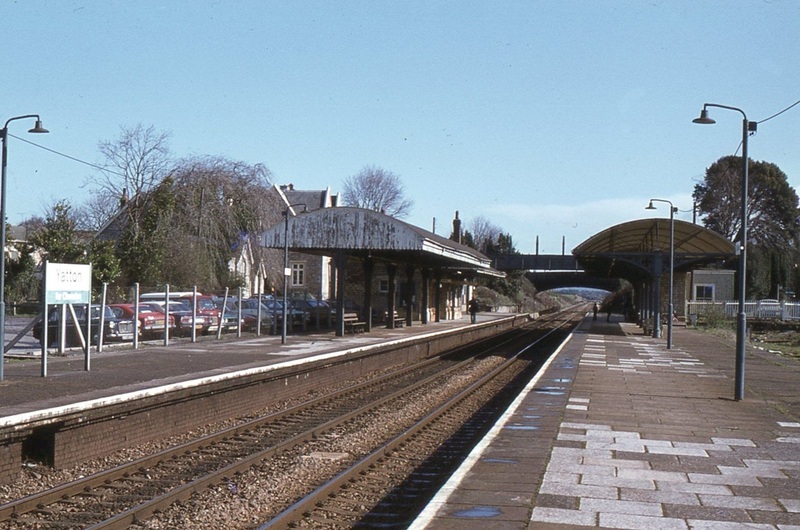 Please try the two links at the top of this page, if there is anybody who is willing for their own pictures of Clevedon Standard Gauge station to be displayed on this web site we'd be pleased to show them - they must be your copyright.